This is the end of the Themis Files Trilogy. It’s been a road that feels both long and so very short. Maybe it’s because I was late to the train for book one and so was able to read both of the remaining books in close succession. But Only Human is bittersweet. WARNING if you haven’t read Sleeping Giants or Waking Gods spoilers are below – even in the synopsis from Goodreads! It’s been a long journey to get here. Our characters have been through all sorts of challenges and life threatening situations. We’ve lost comrades, friends, and family members. The world is different than it ever was before. And where are we now? I liked Only Human for reasons entirely unseen before in this trilogy. 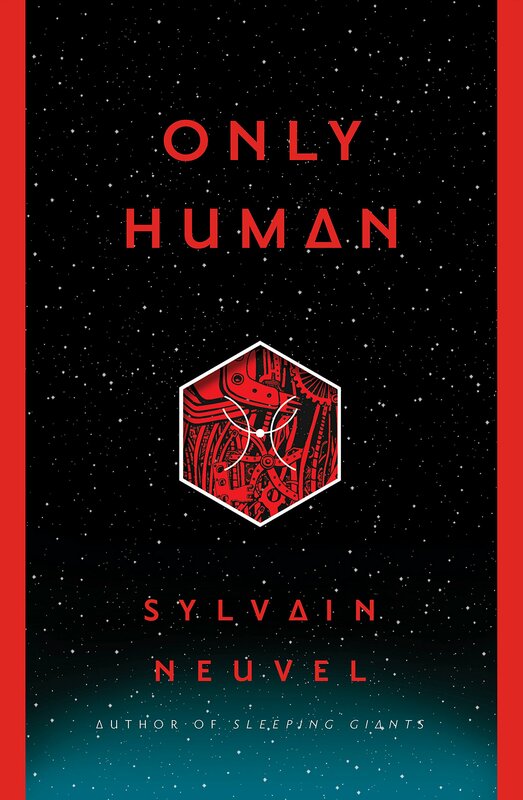 It seems every book I like for vastly different reasons, but the themes in Only Human just got me – in a scary way as well. Only Human looks closely at our characters in a way that’s never been seen before. Since there isn’t the same sort of life altering consequences starting at us, there are still plenty in our face (don’t worry), we are really given the space to see how Vincent, Rose and Eva are changing. Their relationships are changing, but so are they. Maybe they were more idealistic, more caring, more courageous, but everything changes in Only Human. Part of this could be that we are jumping ten years into the future, but our main characters were also on another world, and the Earth they left behind is vastly different than they ever could have predicted. One of the themes I enjoyed the most in Only Human was the nature of parenthood. Vincent is kind of thrown head first into parenting not only because he’s doing it alone, but because it’s on an alien parent, and with a child who was kind of birthed without him. All of those make the relationship between Eva and Vincent central to this book. Not only does it sort of play out on a global level, but it forms the backstory behind a lot of their decisions. In some ways, the world has gone on without them, but once they return, they do so in a big way – a way that will impact everyone else. It seems wherever they go, they bring monumental change in their wake. But Vincent must ask – what makes a good parent? After the revelations from Waking Gods, similar questions and parallel narratives are being asked of the aliens. What is their role in our destruction, in our future, in our demise? There’s this parallel structure of Vincent and the aliens, by asking what the roles of their caretaking is? When do they interfere and let us make our own mistakes? Similar to this theme, after Waking Gods, how does Earth deal with the revelation that we are part aliens, or than some of us are? In classic humanity style, not well. There are camps, there are designations, there is mass panic. Yet at the heart of the paranoia, is a questioning of what makes us human? What exactly within us is ours in a way we can understand? While too many of these things they have done hit too close to home, it’s a question we’ve been trying to determine forever. This push and pull between people we deem as ‘human’ or ‘pure’ and those who are different, is something that has plagued us. It has caused wars, atrocities, and camps all before. And so in this way, this book kind of explores a core question that I don’t know if we have the answer to. So because of these themes, Only Human hit me on a different wavelength. One I didn’t really feel like this before in the other books, but one that I enjoyed greatly. This was an epic series. And one that I loved reading. 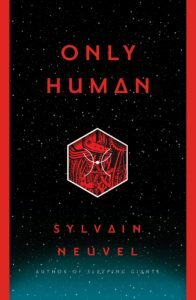 Check out Only Human on Goodreads. Do you know of any books like this?